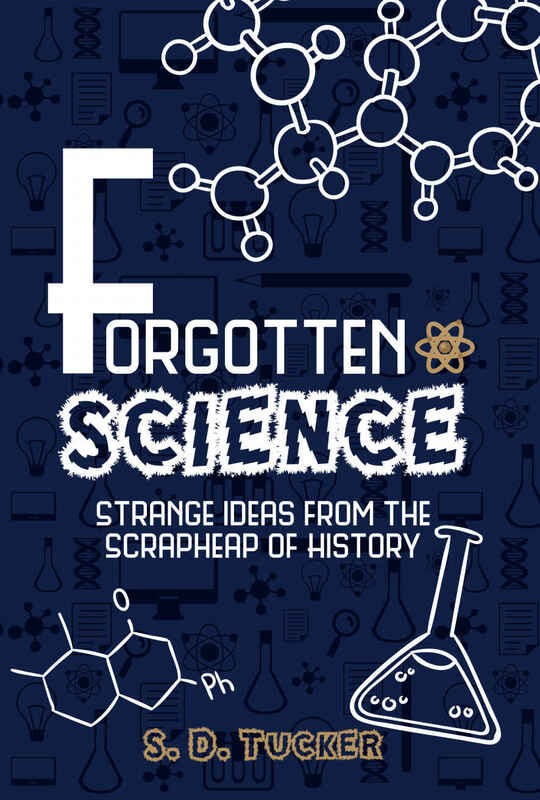 The reader needs a strong stomach to cope with the introduction to this collection of weird, wonderful and often obscure scientific endeavours. S. D. Tucker spends a fair amount of the 37 pages (that's a long introduction) on animal (and human) experiments involving vivesection. But once we're past this, although we hit on the occasional stomach churner, there are more palatable if misguided attempts at science to enjoy that were mangled, muddled or simply mad. Tucker has a conversational style, which is sometimes dry, but at others could do with a little reining in. So, for instance, when describing the unfortunate treatment Tim Hunt when he made an unwise joke about women in the lab, we are told that Hunt was 'chased out by a gaggle of self-righteous harridans, puritanical Twitter mobs and other such ranks of the professionally offended', which probably is not an ideal description. Things don't get a lot better when Tucker gets on to climate change. Although he doesn't present an out-an-out attack on the science, he presents us what he regards as ridiculous examples of overreaction, including a report that cows' output of methane contributes to global warming - given methane is a far more powerful greenhouse gas than carbon monoxide, and cows belch a lot of methane (not, as, Tucker puts it so delicately 'cows bum-holes did far more damage…') it's a perfectly reasonable observation. 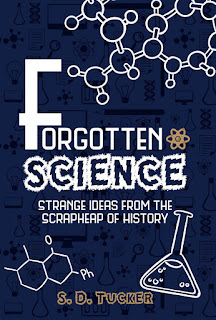 Forgotten Science is a strange mixture. Sometimes, Tucker makes valid and interesting criticisms of science and the way it is carried out, but at others he produces a rant, or spends a good number of pages on the activities of the Rosicrucians or Milton's views inspired by the Book of Daniel, which didn't seem awfully relevant to the title. Admittedly, all this is vaguely linked to Francis Bacon and some of the early Royal Society members - but it felt at best tangential. It was the same with a long chapter on the playwright Strindberg and Tesla (a great engineer, but never much of a scientist) - the topics seemed to be covered at length because they interested the author, rather than because they had much to do with the book - and though there are certainly plenty of 'strange ideas from the scrapheap of history' in Tesla's weirder claims, the account here is too rambling to highlight these. Occasionally, Tucker attributes beliefs and assertions to science and scientists which don't reflect reality. At one point there appears to be a total misunderstanding of evolution, suggesting that it is about progress to some sort of greater goal (elsewhere correctly contradicted by saying it's not about progress) - plus the bizarre suggestion that scientists tell us than mankind has a 'special nature in the scheme of things', where in my experience most scientists go too far the other way and regard exceptionalism as an insult. There are sensible criticisms of science and the way it is carried out here, but they are mixed with constant undermining of the message. For example, Tucker says 'This is meant to be the "century of biology", if you believe the hype, and there is often good reason to do so.' This somehow manages to be totally critical of the concept and agree with it at the same time - it's confusing for the reader. Overall, reading the book was quite frustrating. Some of Tucker's arguments are legitimate - for example in criticising the tendency of some scientists to try to extend science's reach beyond where it's effective (including ludicrous condemnation of entertaining fiction from fairy tales to X-Files and Star Trek), or the tendency to confuse a scientific model with reality and look for black and white answers (though that is usually more from the press than the scientists themselves) - yet there is so much contrary material thrown in that it's hard to pick out the message. Roald Hoffmann remarks that we should be grateful to book critics for doing what we are too lazy to do ourselves. I would add that in a case like this we should be grateful to the critic for spending his own time, so that we do not need to spend our own.